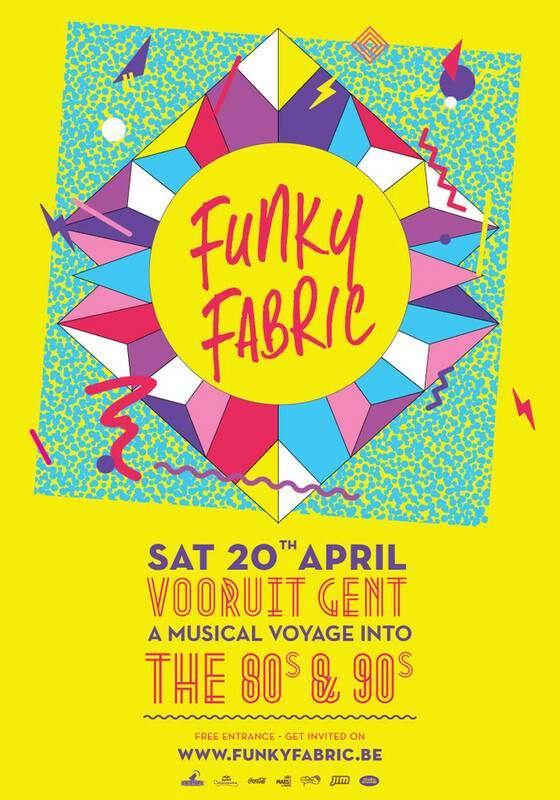 Funky Fabric stands for the finest disco, eighties and nineties dance hits you just can’t resist. Brought to you with style, class, originality and attitude. We all love our disco & dance classics don’t we? But we also know that things can get a bit cheesy and out of hand quickly if placed in the hands of the wrong DJ’s and promoters. We at Funky Fabric however like to think that we get everything right: the music, atmosphere ànd the venue. Because we strive for only the very best for our visitors, this time we change locations. The Vooruit Concert Hall is one of the most beautiful ballrooms in the country. It also has a solid wooden floor which your dancing shoes will glide even better and is equipped with first class accommodations. This way, we can pamper you to the max in an exquisite setting! Doors open at 22h30 and guest-tickets are valid till 24h (midnight).